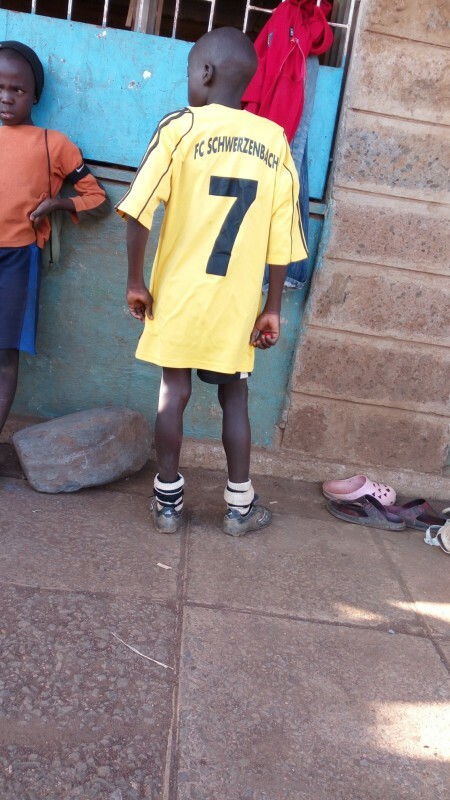 February is a very short month but we had some activities going on this month, Our dear Samuel, completed his first semester, and on his free time, he recites poets, He has been training and our sisters and brothers here in mathare once every Friday of the week. Our brothers and sisters enjoy poetic lessons mostly on Saturdays morning. Samuel is a good poet a talented one and he is focused in it. Early this month he composed a poet about life, some of the words he expressed were soothing, encouraging and awesome. He is composing a poet on wildlife and nature. I hope he will share this with our dear PBF family and friends. On 6th of Saturday, I took some of our girls for a friendly handball match and they did their best by beating the host team. They also earned a certificate of cooperation from the area chief who was present on that day. The following day on Sunday we sat down with them I Samuel and Loreen, we talked about personal interests and sports at large. I realized most of our brothers and sisters are still undergoing stress and depression from the challenges they face back at their homes. Some of them don’t even spend time with their relatives because of family disputes among them. I advised them to always respect and give an ear to their guardians and relatives. On Friday 12th I met 10 street children, who are very young in age ranging between 13 to 15 years old, On that day I had gone to search for one of our boys who was missing for two days from their home, then I came to meet those 10 street children who were sniffing shoe gum and smoking cigarettes, One of them asked me for money, then I told him to come closer, I asked her what she needed money for, and she explained that she had run out of shoe gum. I mobilized them as they were and told them my name and what I do with people like them I then asked them to come the next day in drive inn primary school for a chat. On 13th of this month, 8 of them came, Loreen asked them to submit their gums and cigarettes then Samuel gave them a story about his life. I shared my story too, and all of them shared their stories with us all together. Their stories are so emotional that Loreen and Samuel cried when they heard them share their stories. I gave a call to our dear Dan Amolo on that case, and Dan advised me to make a follow up on each one of them. 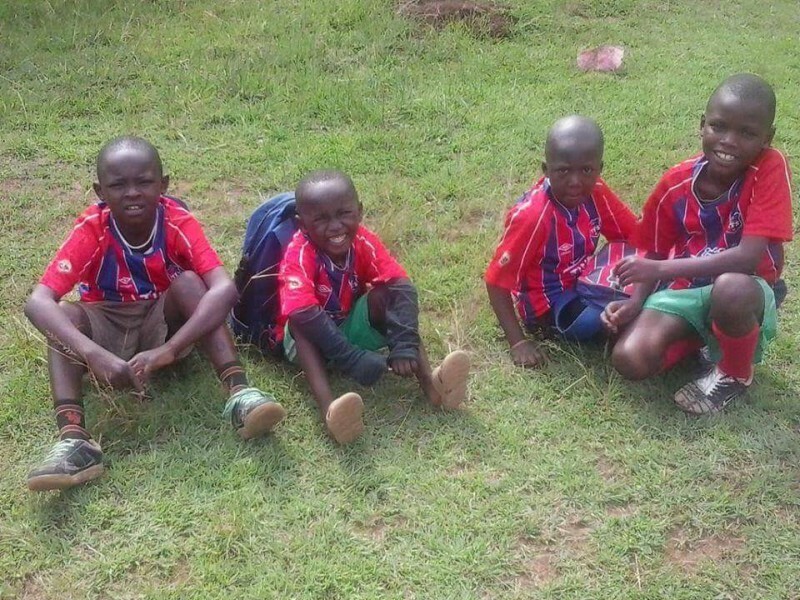 I have only made a follow up of 4 of them, and already recruited them In under 12 football teams in mathare, now they are happy, see their photo below. On 14th I gave out some tricots to flames fc under 12, I had promised them if they beat rangers fc, I will give them tricots. Rangers fc is in top position of the mysa leg junior tournament, and flames is position 3, so they had a football match on that day , where they beat Rangers 2-1 , they won with two goals. I kept my promise and gave them tricots from PBF. Find photos here. On 20th of this month on a Saturday, we took some of our sisters for a friendly match in Bahati estate they played against Bahati girl’s fc. 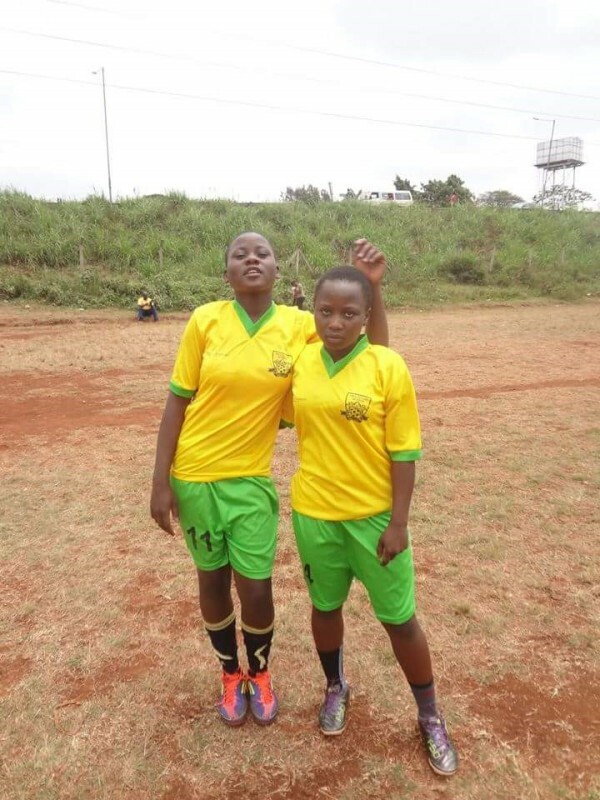 The match ended in a draw, 1-1, then on 21st the next day Bahati girls’ fc, paid us a visit, for a friendly match, in our drive inn field, the match ended 3-2, they lost to us. It was a sunny day and 3 of the other team girls fainted during the match, Loreen and Samuel did first aid, and all was well after the match. 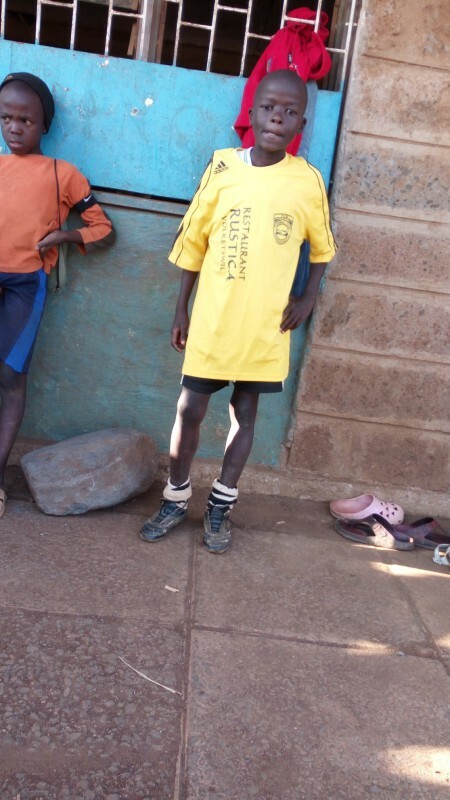 On 25th of this month one of our brothers injured his left arm, after he was being chased by his elder brother who just wanted to beat him for no reason, he was rushed to marura hospital in mathare, then I was telephoned by good Samaritan who got my telephone number from him, I and Samuel rushed to the hospital and found him in pain, we negotiated with the doctors to admit him as I contacted Dr. Peter and Dan. We received funds from Dr. Peter and now we have paid all his hospital expenses and soon he will be discharged. We really appreciate Dr. Peter and Dan for intervening on the boys’ condition. I have this year observed that most of our sisters in mathare miss school due to their menstruation periods since they cannot afford sanitary towels, below are two of our girls who miss school during their menstruation periods. Next month we want to start by buying 2 boxes of sanitary towels for our Sisters here in mathare, we will initiate this campaign in mathare huruma and babadogo, we will be happy to be come ambassadors in this project, I and loreen will attend a training so that we have knowledge on usage of sanitary towels and how to distribute them. 2of our girls who miss school during menstruation periods since they cannot afford to buy sanitary towel. On 26th we received funds from Dr. Peter for hospital expense and Samuels travel transport to Kisii. Thank you so much Dr. Bachmann and your friends for supporting us always.